Here are the sweaters that I crocheted for the guys. What do you all think of them? 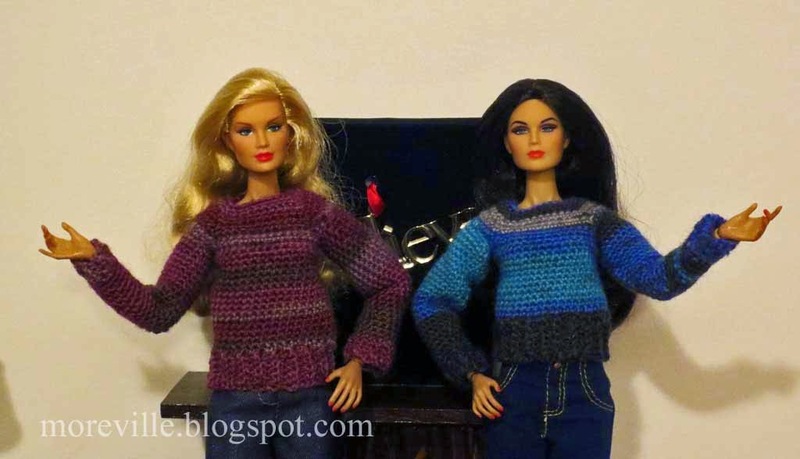 As I mentioned before, I found a pattern on the internet for a basic Barbie sweater. 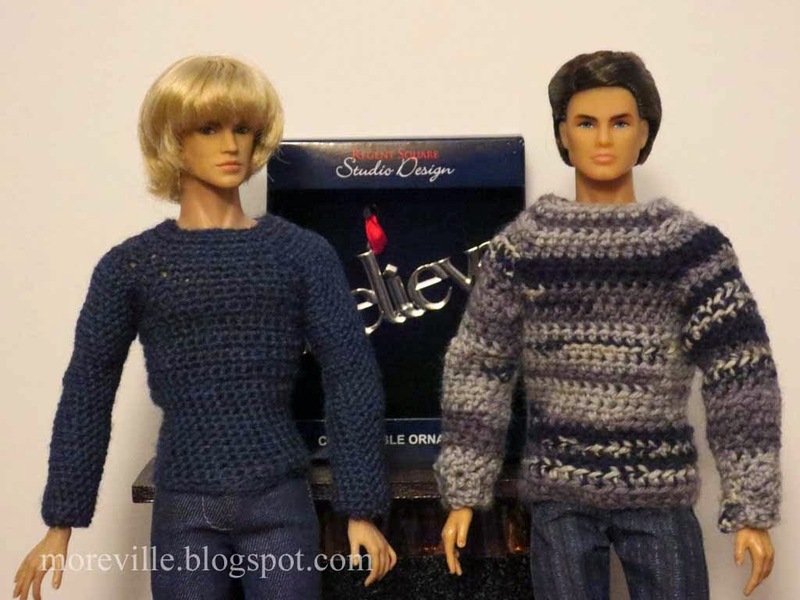 Here, I altered the pattern to make sweaters for Ace and Cruz. 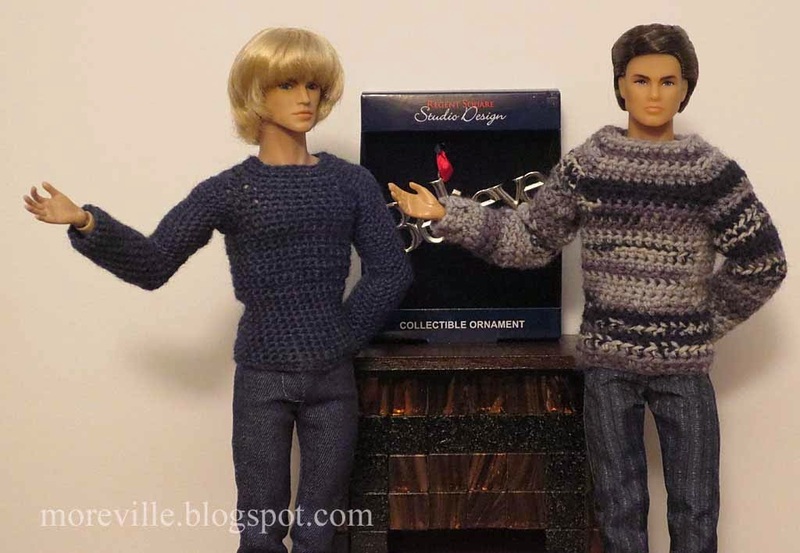 I purposely used them as models, figuring if the sweaters fit them, they'd fit the Kens as well. Ace and Cruz couldn't resist striking a pose for the camera. I made this one a little bit shorter to fit Arty better. Looks like he couldn't resist striking his own pose. 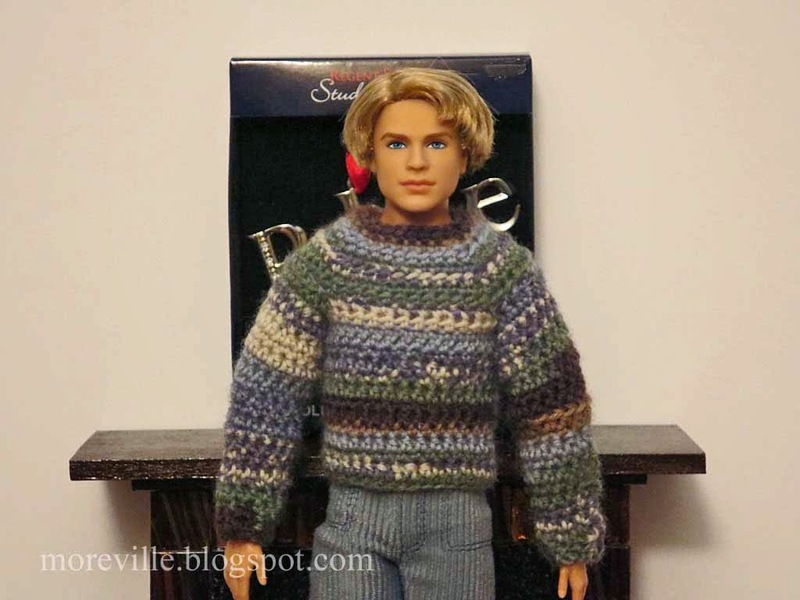 I plan to make more sweaters for both the guys and girls, altering the pattern for different looks. I know I said I wasn't getting any more dolls, and I didn't. This lady was a gift from Marianne. She will be re-bodied and given a Moreville life and identity. Isn't she just beautiful? Thanks Marianne! Labels: City Shine Barbie doll., Color Infusion dolls Ace McFly, Dynamite Girls London Calling Cruz. I don't make New Year's resolutions for a good reason - I always wind up breaking them sometime within the first week of January. This year is no exception. In addition to the usual goals of losing weight and getting in shape, I vowed not to get any more dolls. After acquiring the Fashion Royalty guys and girls, I decided it was time to stop for awhile. Then, like an idiot, I went to my local Walmart, and guess what I found? 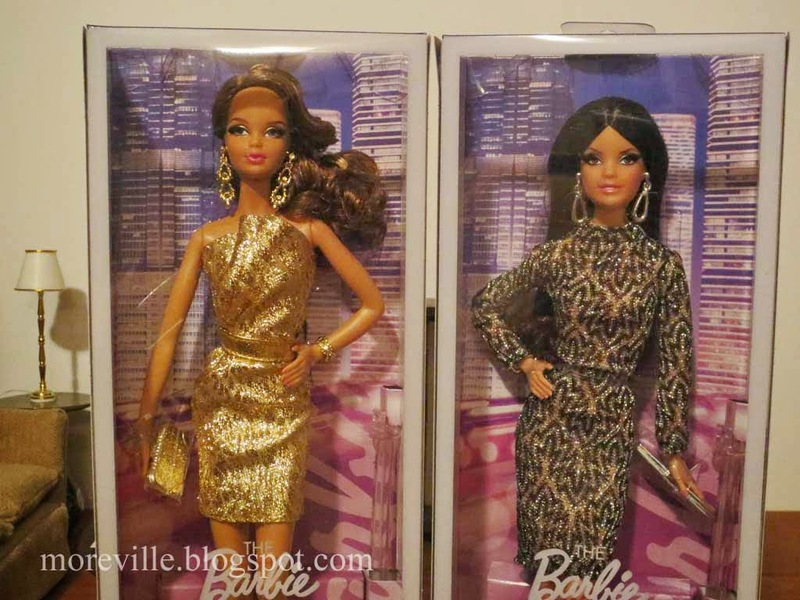 The City Shine Barbies, mocking me from within their prison boxes, daring and begging me to take them home. So much for my resolution. Marianne bought one, I bought the other. Here is Ace, my newest FR Color Infusion guy. 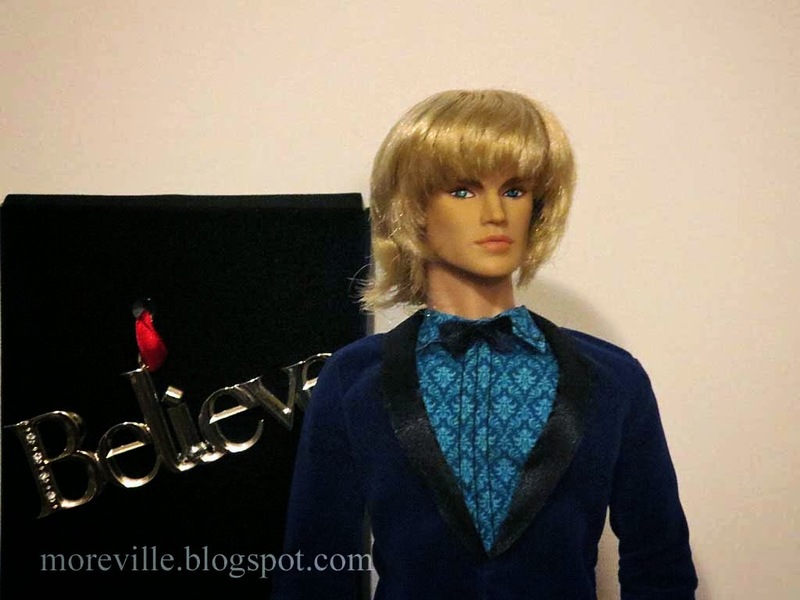 I'm sure you all saw him dancing with Adaline at the New Year's Eve party. They seem to have eyes for each other. 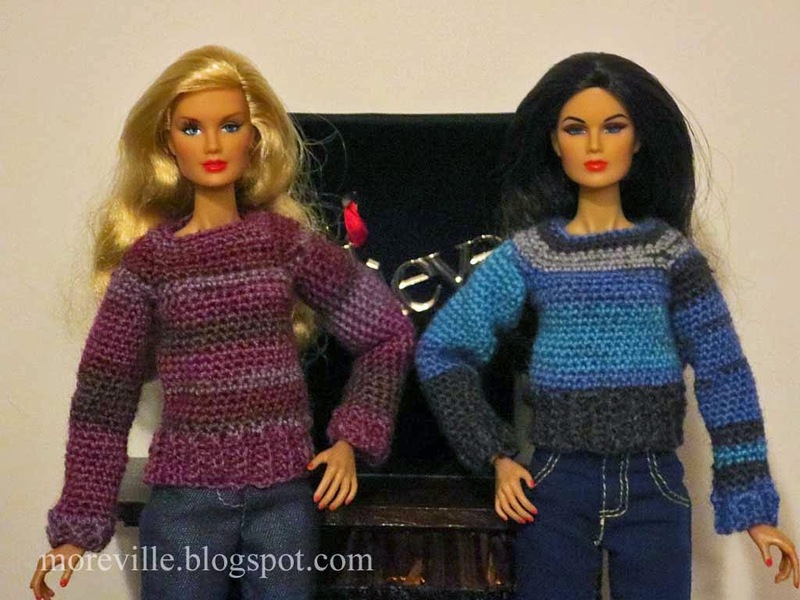 Speaking of Adaline and Darby, I crocheted a couple of sweaters for them. 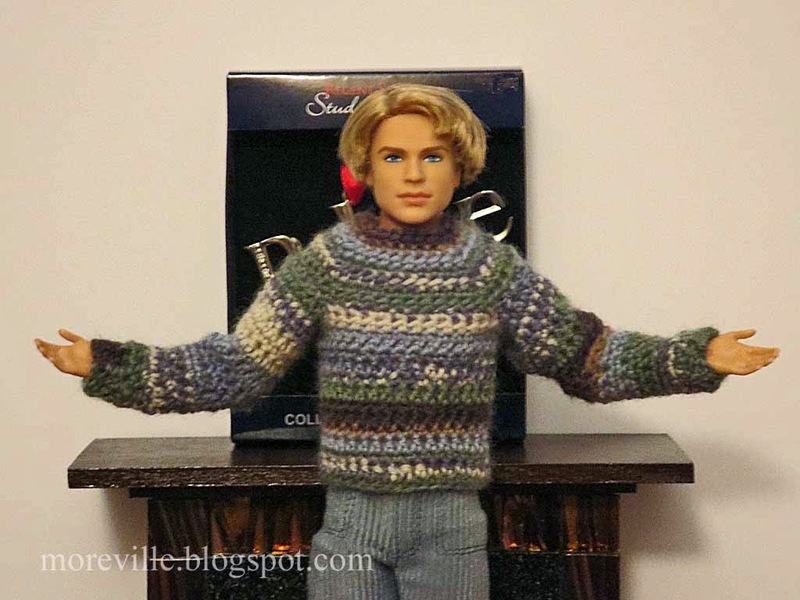 I figured if the sweaters fit them, they'll fit the Barbies as well. Here's a closer look at the sweaters.